It’s hard to visit Malibu and not fall in love with the views from every cliff, cute restaurants and slower pace right outside the city of busy Los Angeles. It has a relaxed feel that is still chic enough to attract celebrities and other socialites who work in LA. It’s on the quieter side so it provides the perfect escape from busy life. The cliff side views of the ocean make it easy to see why people are willing to spend what they do in order to live there. It’s laid back-surfer town feel and sweeping views are hard to beat! With nearly three-dozen beaches to choose from, Malibu is a beach-lovers dream. 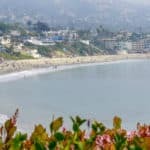 From the iconic Surfrider Beach, famous for world-class surfing and movies like “Gidget”, to one of the area’s cleanest beaches at Zuma Beach, to the cave-like rocks and cliffs of El Matador State Beach, there are plenty of options. Keep in mind, though, many of these beaches aren’t very well known, or easy to find. Some do not make it easy for the public to get to either. Before you go, stock up on supplies, food and beach equipment. Do Malibu California! Continue reading and plan your Malibu beach vacation today! Malibu has a long history of beach access disputes, big and small, between wealthy home owners and the public. Luckily the California Coastal Commissionhas been fighting for public access over the years. There are many world-class well-known beaches along the 23-mile long Malibu shoreline in western Los Angeles County. Some of the names include Topanga, Surfrider, Malibu Lagoon, Point Dume, Zuma, El Matador, and Leo Carrillo State Park. 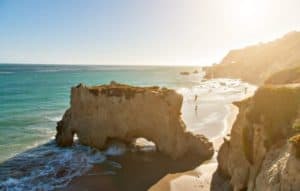 Each of these beaches are famous for different reasons be it reliable surfing, bird-watching, endless volleyball courts, or just scenic photography. Some beaches have signs put up by locals to discourage using the public access easements. Ignore the signs that say “Right to Pass by Permission and Subject to Control of Owner” as these are bogus. Look for the brown Beach Access and Coastal Access signs put up by the State Coastal Commission. Be careful where you park so you don’t block any driveways or give yourself any other reason for a parking citation. When on the beaches, stay back from the homes to give them some privacy. Note that several of these beaches still don’t have direct access so you have to walk on the sand from another beach to get there. With its sunny and temperate climate, Malibu is a year-round destination. Jul–Aug is the busy season, when the weather is warm and dry. The end of summer (Sep) is still warm, but the beaches are less crowded. Surfing competitions are held Jun–Sep. Surfing peaks Sep–Oct, when waves are ideal and the water is warmer than in summer. 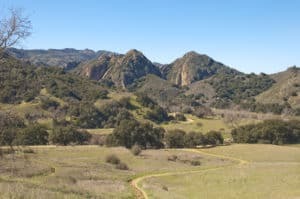 Spring (Apr–Jun), with flowering plants and full waterfalls, is a popular time for hiking in the Santa Monica Mountains. Beautiful sea stacks are on the beach and in the surf. This is a popular spot to photograph swimsuit models and stunning sunsets. Explore north on the beach to caves and arches in the rocks. The largest cave faces the ocean at the bottom of a huge flat rock that is connected to the base of the bluff. It’s best to visit these natural features at low tide. Zuma Beach is a massive beach with lifeguard stations spaced out on the shore to protect people who risk swimming these waters. Strong rip currents can develop at Zuma Beach so be aware if you want to swim. This is a gradually sloping beach so it’s great for taking off the sandals and walking in the surf. Volleyball courts, picnic areas, restrooms, and concession stands can be found at various spots along the beach. On the western outskirts of Malibu California is a state park with picturesque natural features and diverse beaches. 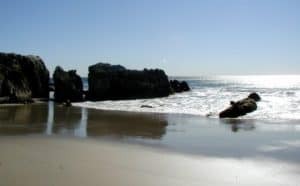 Leo Carrillo State Park has rock arches, caves, tide pools, and trails to explore. Highway 1 follows the coastline behind each of the beaches and separates them from the rest of the park. This inland portion of the park offers a campground with over 100 camp sites and excellent camping facilities. With such a name you’d expect a pretty stunning spot. It lives up to its name and has even been the setting for many beach scenes in Hollywood movies. Paradise Cove is a great starting point for long beach walks. Heading east you’ll walk below some Malibu mansions and find some private beaches. Heading west you can walk below steep sandstone cliffs all the way to Little Dume Beach and Big Dume Beach in Point Dume State Beach. 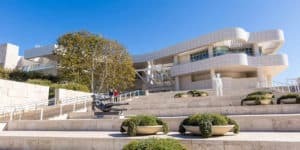 Spectacular museum boasts a most impressive collection by such luminaries as Van Gogh, Monet and Cezanne, along with the architectural triumph of its six buildings and gardens. Malibu Pier is a Southern California icon in an area once called the Riviera of America. The historic landmark is located in the heart of California’s surf culture. Surfers from around the world come to Surfrider Beach adjacent to Malibu Pier, known for its three-point break that offers rides of 300 yards or more. The festive seaside atmosphere of good food and fun is returning to the famous pier. Restaurants offering classic seaside dishes complement the pier’s beautiful coastal location and rich history. Solstice Canyon features several options for easy, moderate, or strenuous hikes through coastal sage scrub and riparian plant communities. Visitors can enjoy a picnic, a shady stroll along the Solstice Canyon Trail, or a more challenging climb up the Rising Sun Trail. 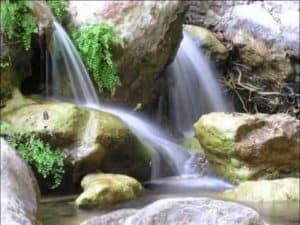 The perennial waterfall is a popular hiking destination, and along the way you might encounter acorn woodpeckers, alligator lizards, fence lizards, or a red-tailed hawk soaring overhead. Featuring a soothing luxury spa and rooms with private balconies overlooking the beautiful Pacific Ocean. The Malibu Beach Inn offers all-oceanfront rooms with contemporary wood furnishings and a hand-picked selection of wines. Malibu Beach Inn guests have direct access to the private beach. For more information, pricing, or to reserve your room visit the Malibu Beach Inn. 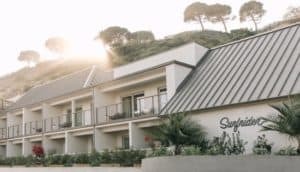 Located on the iconic Pacific Coast Highway, across the street from the world-famous Surfrider beach, The Surfrider is a contemporary boutique hotel with 20 rooms that gives guests an unparalleled and elevated visit to Malibu. For more information, pricing, or to reserve your room visit The Surfrider Malibu. 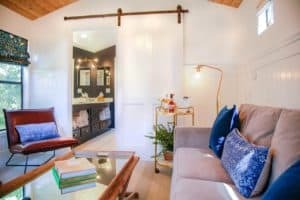 All of their private Cottages, Bungalows and Estate Rooms are thoughtfully designed to be cozy, intimate spaces to exist within the undisturbed nature of The Ranch. Calamigos Ranch is proud to be the gold standard for sustainable luxury and continue to incorporate this philosophy to their luxury eco- safe Resort. For more information, pricing, or to reserve your room visit Calimigos Guest Ranch & Beach Club. Featuring an outdoor pool with poolside dinning, this luxury resort is 15 mi from Zuma Beach and the ocean views of Pacific Coast Highway. Two fine dining options and full service spa is provided on-site. 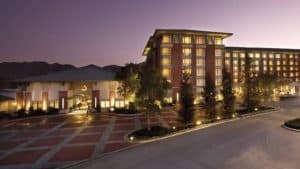 For more information, pricing, or to reserve your room visit Four Seasons Hotel Westlake Village. Located minutes from the scenic beaches of Malibu, California. 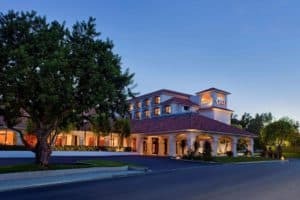 With a unique combination of outstanding business facilities and a resort-like atmosphere, this Mediterranean-style hotel is an oasis of sophistication in the Westlake Village business complex in Thousand Oaks. Designed for the modern traveler, our Westlake Village hotel offers inviting spaces where you can think, and places to get away and relax. For more information, pricing, or to reserve your room visit the Hyatt Regency Westlake. Malibu beaches are great. I have been to LA many times but my trips were mostly to Disney and Universal Studio. But seeing the beaches you mentioned, I’m feeling silly thinking how did I miss out. The next trip to LA, I’m exploring Malibu beaches! Ok Demi you need too! Heck I skip the parks any more and head straight for the beaches. Easier on the pocket book and so relaxing! It was interesting to me to read about he property issues with the public and the homeowners. I understand wanting your property and home being left with appropriate boundaries so as to not have any unwelcome traffic on your property, but it has to be a bit tricky as the landscape, recreation and beach are entities that everyone will go towards. I went to Malibu a few years back and the energy is palpable. 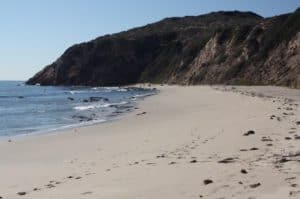 Point Dume State Beach bears an uncanny resemblance to a beach I own property on in Oaxaca, Mexico and I was not aware of it – I will venture down South once again to check it out for sure! Glad you enjoyed Bex! Yes, I agree with you on the property signs. I know having a multi-million dollar home on the beach, that probably comes with thinking the beach should be for private use. I guess that is one downfall to owning a home on the beach for sure. Thanks for visiting Beach travel destinations. Yes, parking at popular beaches can sometimes become troublesome. I know here in Florida, if I don’t head out for a spot by 10 am, they are all taken and none will be had. Other than the ridiculously expensive lots. Anyway, that being said it is going to be similar in Malibu at some beaches. Some beaches parking is a snap and you’ll find plenty. There are just so many beaches there. But the ones with the best parking are Zuma Beach, Malibu Beach, Point Dume State Beach, El Matador State Beach, Malibu Lagoon State Beach, Paradise Cove and Topanga Beach. Malibu looks much more touristy than the previous beaches I checked, Cape Cod and Nantucket. It must be a popular holiday house destination for LA people and there are so many activities you can do – surfing, fishing, bird-waching, etc.! 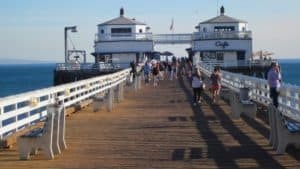 Malibu Pier looks amazing and I love the fact the place has a history! As for the beaches, El Matador is my favorite, it’s fantastic! Yes, it is a bit more touristy than Cape Cod and Nantucket for sure. It is a popular vacation spot for Californians, so it does get busy during peak season. The pier is a blast, you don’t want to visit without heading to the pier! thanks for vising and hopefully you can do Malibu California soon! Let me first of all appreciate you for this lovely review about do Malibu. This is my dream vacation place because i have read about Malibu. Reading your blog on Malibu is a real eye opener for me! I haven’t been to the place, but i have fell in love already. I enjoyed this site so much. You have provided me with everything I need for planning! 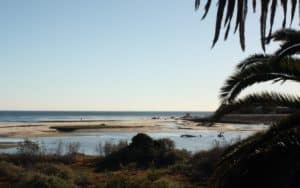 I am glad you enjoyed reading my post on Malibu California. It really is a great beach community with a lot happening. You will fall in love when you get the chance to vacation to Malibu. Please let me know how you enjoy it after you get back! I have never been to California. I am always looking for somewhere new to explore and this sounds quite attractive. I am making a note of the Zuma Beach, the museum and the Hyatt hotel. I also would enjoy a visit with the animals. It looks like a great place to getaway with my husband and daughters who lead rather busy lives. We probably would be able to make it in about July. Thank you for this information. You are so welcome JJ. Please let me know if you have any questions, or if I can help with your travel planning. 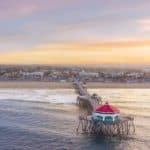 Nice article on Malibu! Malibu sounds very interesting, and you make it come to life for me. I want to be there. I have heard so much about the beaches in Malibu. I definitely want to vacation there. I am sure there are many more beautiful places in California. But no doubt, going on vacation to Malibu will be a once in a life time opportunity and experience for me. I am ready to go! Thank you 🙂 Yes, I think everyone has probably heard of Malibu California for sure. Probably why it is just a little more expensive to vacation to than other California destinations. But, with all the beaches and the beautiful scenery, so worth it. Thanks for visiting! Obviously, there is no doubt about it. Malibu is really a destination I now want to visit! All the beautiful beaches are very attractive to me as well as the good hotel choices. Looks like some great cuisine as well. I have book marked your site and I will be back when I am ready to book my Malibu vacation. Thank you for the great information! I am so glad Kenechi! Thank you for stopping by my Do Malibu California post. I am glad I now have you ready to vacation to Malibu! Please let me know if I can help with your travel plans. I must say that just from the pictures of Malibu, you have be ready to pack my bags. There appears to be an abundance of gorgeous beaches, beautiful scenery, great hotel choices, and good restaurants and nightlife. Everything I need to know is right here at my finger tips! Thanks for putting together all this great information. Ok, glad to know I have you hooked on vacationing to Malibu! I don’t think you will be disappointed. Thanks for stopping by! 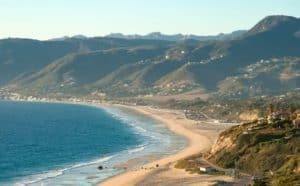 Oh my God, I have always heard so many and so much about Malibu in California, it is the perfect definition of ‘your reputation precedes you’, the experience I would love to have lays along the coast of the Zuma Beach and stealing one or two glances at the El matador Cliff which I never before knew about its existence. But since Malibu is a regular stop by for celebrities, I wonder if it won’t be a bit more pricey than affordable. Cheers. Yes, it will be a bit more pricey for sure. But, so worth it! Thanks for visiting! Thank you Tony for stopping by and taking the time to leave me comments! Hi! Malibu is so close from busy Los Angeles, and at the same time it’s so relaxing. Thank you for warning us concerning the signs that say “Right to Pass by Permission and Subject to Control of Owner”. I’ll look for the brown Beach Access and Coastal Access signs. I didn’t know locals wanted to discourage visitor. LOL. Doesn’t the State Coastal Commission censure these signs locals put up? Well they are not supposed to put up the signs. On one hand I can see where they are coming from. They spend millions on a home and they consider the beach behind their home “theirs”. I live in Florida, but that is not done here. People owning the homes respect the people that just want to spend the day at the beach. You’d think the Commission would tell them to take the signs down, they are not legal. 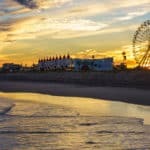 Great article on Malibu! I have heard many things about Malibu and have been wanting to visit California. What is not to love right? Especially if you enjoy the ocean, and a good beach like I do. Sounds like it is a little expensive in Malibu. I did read some of your other reviews on beach communities close by that appear to be a little bit easier on the pocket book. Thanks for all the great information! You are very welcome Jay. I am glad you enjoyed and found the information you need to plan your family vacation to California. Please let me know if you need any additional information. Thanks for visiting! Hi, I’m checking out some destinations in California for this summer’s visit. I was at Malibu beach before and it is really nice. Because I go with my family with kids though I think Malibu is a bit too expensive to stay for several days. Are the beach safe for kids to swim? Yes, the beaches are safe for the little ones 🙂 A day trip to enjoy Malibu sounds great! Enjoy! I’m not much of a beach person but your article defies my preconceived idea of what beaches are like. I would love to hike trails near a beach! Your photos are beautiful and some of them look like they would be lovely for sitting quietly on a rock to enjoy the beauty of nature. The closest beaches to me are very “touristy” and crowded with people. Parking is expensive if you can even find any. I’m sensitive to the sun and don’t like to swim. Cannon Beach in Oregon is my favorite. I have been there twice and even in July, it’s cold enough to want a light jacket. It attracts families who mostly walk and talk rather than lay out tanning which is what happens here. I have family in California, so I will save this article and use it to make plans when I visit them. I am telling you Theresa, there is so much more to going to the beach than laying on a towel and soaking up the sun. Personally, I love to walk along the beach, horseback ride on the beach, hike trails, and what not. It is just beautiful scenery and I get exercise while enjoying it. I am glad you see beaches in a different light 🙂 I too live by a very crowded (#1 beach in the US) beach and parking is expensive and hard to find. I always drive a half an hour down the road to a more quiet and peaceful area of the coast line. I always enjoy reading your posts Leahrae. I grew up in Los Angeles and we would go camping at Leo Carrilo State Beach in the summer. Also, I can believe that the homeowners are still putting up the no access beach signs. I thought that the courts decided long ago that all beaches were to be public. I sure bet Malibu looks stunning today with all of the snow in the Santa Monica mountains! Thanks for the great info as always. Yes you are right, the courts did say that they are not to put up no access signs, but they still do it! Glad you enjoyed your visit Colleen! I enjoy this site so much! Thanks for so much information and details. I love how you not only tell about the places, but also things to do, places to visit, eat, and stay while you are there and the weather! Pretty awesome how you lay it all out. I’ve heard a lot about the Malibu Beaches, but never really looked it up. I’m always looking for different beaches to visit during my summer vacations and these beaches are gorgeous. I really enjoy the night life when I’m on vacation and it sounds like there are some pretty neat places to visit. Rosenthal Wine Bar & Patio sounds like a place I would really enjoy visiting. I love music and wine. The two together and a beautiful ocean view to enjoy, Wow! I’m ready for vacation now! Thanks for sharing. I will bookmark for future reference! I also checked out your link for beach equipment and got some great ideas. I could really use a new beach bag and you listed some pretty nice bags I’d like to try out. Great Devara! I am so glad you enjoyed your visit to my Do Malibu California post. I have to agree with everything you said, including the wine bar 🙂 If there are any questions I can answer for you, please don’t hesitate to ask. Thanks ! Thanks! 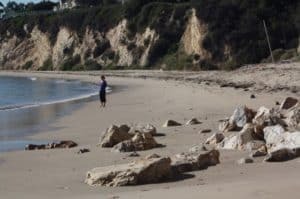 Have you had any personal experiences at the Malibu beaches? Just wandering if you had a favorite place to visit. There’s a lot to do and no way I could do it all in one vacation! I love watching surf movies but never seen Surfing competitions in real life. That sounds real exciting for me! My son surfs competitively and I love watching the competitions. So we have been on both coasts and Texas of course 🙂 I love Malibu beach, I guess it has easy access compare to others. But, Point Dume State Beach, Paradise Cove and Leo Carrillo State Park are awesome and not to be missed. Breathtakingly beautiful! Thanks for the quick response. I’ll jot these down while I’m thinking about it, for later reference. They all sound like great places to visit and the beaches look like the perfect romance get-away. Your articles make me want to travel! These are absolute dream destinations. I am a seaside person myself, love to spend my holidays near the sea and go on sailing trips. The weather is just perfect all year long in Malibu, I wish we had some more sun here as well…anyways, another destination to discover! I’m glad Karen, and beach communities are my type of vacation, so I love sharing this information. Malibu is a place to experience for sure. Thanks for visiting beach travel destinations. Malibu is well known even overseas. i like getting to know the place reading your article. I was always curious to know if there are any private beaches a tourist isn’t allowed to use. Can you see any Hollywood stars around? I love what you have written here. Malibu is a place I’ve always wanted to visit. You’ve described it exactly as I’ve seen it on TV which now makes me even want to go more. It looks like such a dreamy place, the picture you posted makes me want to book a flight rate now. What would you say would be the cost of around trip from British Columbia. This would include a hotel, beach access, and food. I have to laugh at the beach signs because I had a friend who went out to Malibu and she was not aware that some people just post the signs for their own pleasure. So she missed out on going out to some of the beaches. Your friend did miss out, as the signs are bogues, just home owners trying to control the beaches which is pretty sad actually. Okay, so right now flights are actually pretty reasonable about about $250 for a flight to LA. 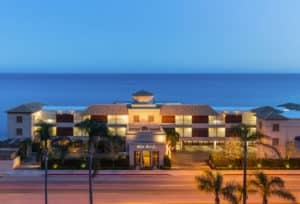 I would recommened the Surfrider hotel because you automatically have beach access at Surfrider Beach. There is also a roof deck bar and restaurant on site. 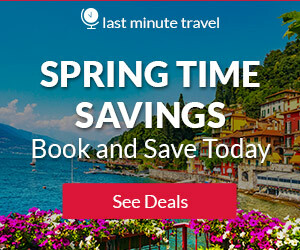 If you go to this link and put in your dates, then you can see what the rates are for those dates. They vary quite a bit through out the year, so hard to give you a firm figure. Please let me know if I can help you with your planning. Thanks for visiting Do Malibu California!